Kubernetes groups application containers into logical “packages” for simple, fast management and discovery. It also automates the deployment and scaling of containerized applications. Not quite a true platform in itself, it can be combined with additional elements to provide the ease of use of Platform as a Service (PaaS) for developers, with the adaptability of Infrastructure as a Service (IaaS) and makes it easier to move workloads across infrastructure providers. 1) Its rich community involvement means it’s always improving. Initially developed by Google, Kubernetes was launched as an open source project in 2014. Its Google legacy surely lent credibility to the solution, since Google employs top talent and has two decades of experience providing software services at massive scale. Once it became open source, it quickly surpassed its competitors thanks to a swiftly growing community and wealth of support. Today it is one of the largest open source communities and has more than 2,000 contributors on GitHub. Hosted and supported by the Cloud Native Computing Foundation (CNCF) and The Linux Foundation, Kubernetes is able to benefit from best practices developed over time by individual contributors as well as members such as Amazon Web Services, Google, Microsoft, SAP, SUSE and many others. Kubernetes’ home at the large, neutral, open source CNCF also helps ensure that it will continue to avoid the dreaded vendor lock-in. The immediate popularity of Kubernetes has also led to enterprise vendor interest and development around the system. Many technology providers, including SUSE, have made Kubernetes capabilities central to their roadmaps to the future. 2) It can work in any cloud deployment, with any application. Most enterprises today have deployed a combination of cloud and on-premises data centers. Success in this hybrid environment requires the ability to easily, securely run and possibly move workloads and share data between the various environments. The great thing about Kubernetes is that you can deploy it on any or all of those environments, or even run it as a service. Because the system doesn’t rely on a particular infrastructure, your DevOps team can simply build their applications and then use Kubernetes to deploy them just as easily to your data center as to the public cloud. Kubernetes can also handle practically any application, whether it’s your newest cloud-native microservices application or a legacy application you’ve migrated into containers. Essentially, if an application works in containers, it will work smoothly on Kubernetes. It’s designed to support a diverse range of workloads, from stateful to stateless to data-processing—and works well with the latest development technology, such as serverless architecture. 3) It simplifies and enhances DevOps innovation. We know from talking to our customers that every business is looking for new ways to drive faster innovation and agility. The DevOps model is revolutionizing application development—in part because of the flexibility of containers. Now developers can package their applications into containers and feel confident that the apps will work just as well in production environments as they did on their development laptop. Kubernetes further enhances application development and innovation by eliminating the need for developers to spend time scripting specific deployment, scaling and update workflows. Kubernetes handles those tasks automatically. Speaking of scaling, one of the most popular case studies to demonstrate the power of Kubernetes is Pokemon Go, the online multiplayer game that launched in 2016. Before launch, developers expected moderate interest—so developers were taken by surprise when it attracted 50 times the expected traffic. Thanks to Kubernetes, which served as the infrastructure atop Google Cloud, the game platform was able to massively, immediately scale to keep up with the skyrocketing demand. 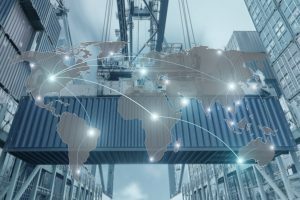 As Kubernetes continues to grow in popularity, SUSE is committed to its best-in-class capabilities and has spent a lot of time and effort contributing to the technology and its ecosystem. We’ve used Kubernetes in a number of our solutions, such as SUSE Cloud Application Platform, SUSE OpenStack Cloud, and SUSE CaaS Platform. We see Kubernetes as a critical component of application development and delivery solutions—and consider it the groundbreaking technology that will drive enterprise innovation now and in years to come. Follow me @t_di_g to learn more about that SUSE is doing in the container space. Dave Bartoletti, “Predictions 2018: Cloud Computing Accelerates Enterprise Transformation Everywhere,” Forrester.com, November 7, 2017.